Andrew Murray and Liam Lennon at TODD Architects discuss the importance of opening up the mental health design dialogue and highlight why extensive end-user research is crucial in creating exemplary healing environments. This year’s Mental Health Awareness Week once again proved a tremendously powerful initiative, with influential figures such Rio Ferdinand, Lady Gaga, Stephen Fry, Alistair Campbell and even Prince Harry speaking openly about their personal experiences. These conversations are important and inspiring as they not only lessen the stigmas around mental health, but also pave the way to a wider discussion on availability of mental health facilities and universal access to support. 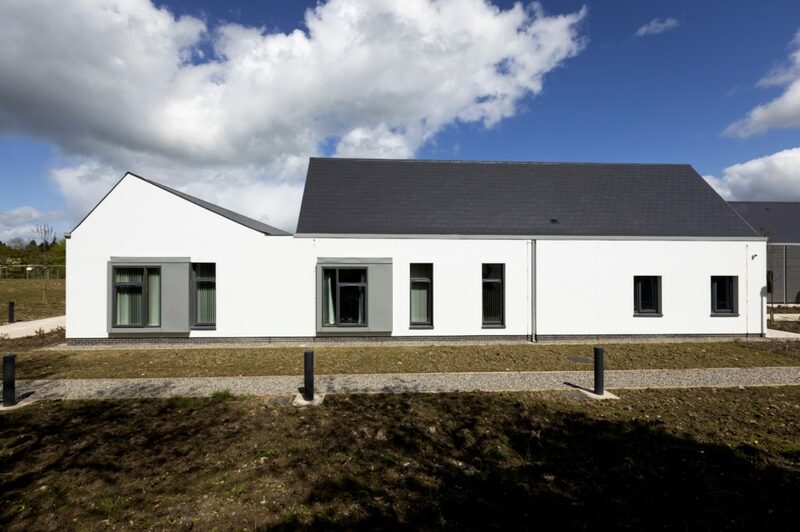 As awareness of mental health has changed, so too has the dialogue on how we design, build and operate mental health facilities, with a growing understanding that we need to move away from the large institutions of old towards community healthcare and supported living. That dialogue also extends to how we engage stakeholders in the design process. We are passionate about designing innovative healthcare buildings that focus on improving patient experience and recovery, but we also recognise that we cannot do that unless everyone who will ultimately use the facility is involved in the process. Likewise, you cannot take a one-size-fits all attitude; we need to have a bespoke approach that not only responds to the brief, but the location and requirements of the local community. In all healthcare projects, a very positive process of community engagement needs to take place during the development of the brief, including extensive dialogue with local and county groups. Extensive end-user research is crucial in the delivery of an exemplary ‘environment for healing’. Many people are now feeling more empowered to talk openly about mental health issues which is, of course, an extremely positive development — however there is now a need to remove all obstacles to people seeking the support they require and to deliver quick access to the mental health services they need. It is therefore important that we design facilities that are welcoming, accessible and integrated within local communities. This approach is clearly exemplified at the Rathview Mental Health Facility, Omagh. At first glance the £2.8m is not what you would expect. In fact, it would be hard to distinguish it as a healthcare building at all. And that’s the point. Its height, whitewashed walls, slate-clad appearance and rural setting all combine to lend it a homely domestic feel. 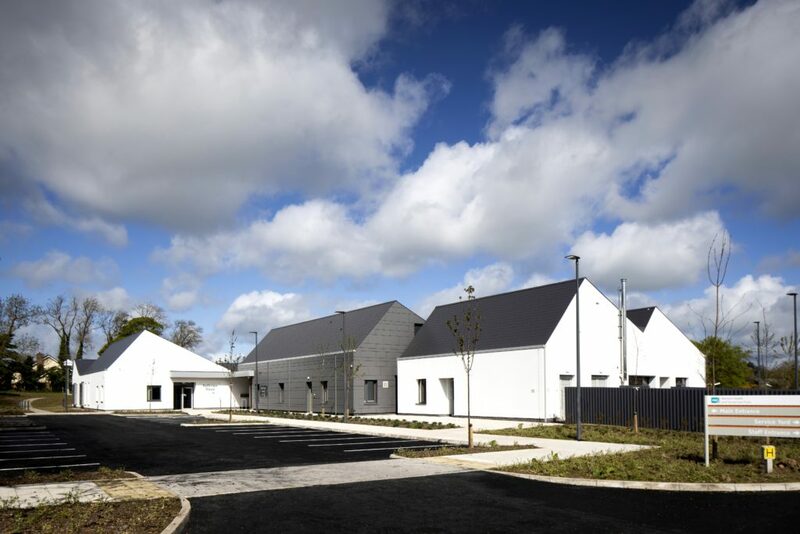 Completed in April 2018 for the Western Health and Social Care Trust, we purposefully designed Rathview to break down traditional, preconceived ideas and visions of mental health facilities, offering a fresh, residential approach in a peaceful countryside setting. 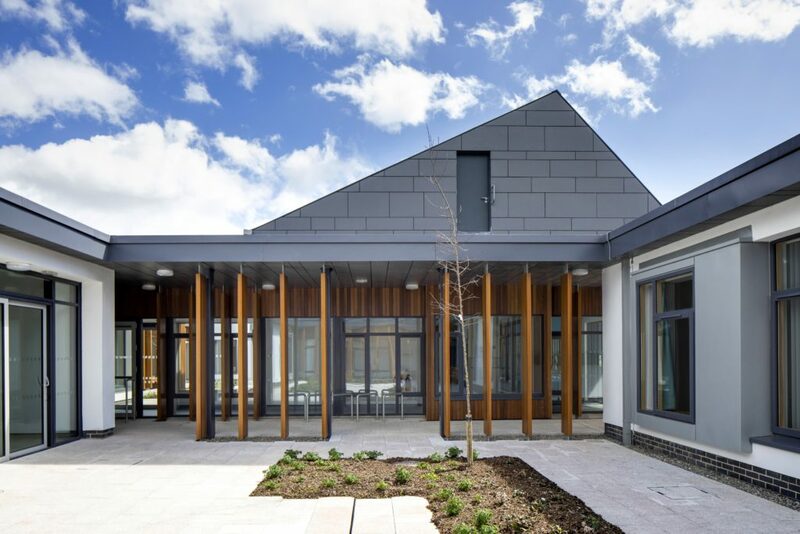 The service model within the new facility is the first of its kind in Northern Ireland and aims to help people with mental health problems move forward, set new goals and develop relationships that give their lives meaning. Recovery emphasises that, while people may not have full control over their symptoms, they can have full control over their lives. Our design response has been to consciously consider both recovery and rehabilitation in an environment that strives to reduce the feeling of being in a clinical facility. 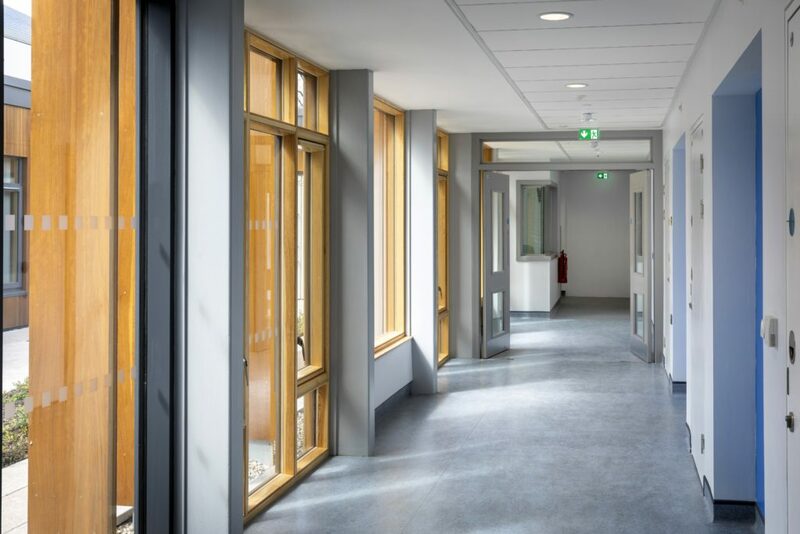 As architects, we firmly believe that well considered, effective and holistic design can have a positive impact on the wellbeing of occupants in any building; in buildings designed for mental healthcare this of course extends to environments that can improve patient recovery times. Whilst the impact of the built environment on our health and wellbeing has been debated widely in recent years, with the adoption of wellbeing assessments such as the WELL Building Standard now commonplace, the impact of design decisions on healthcare has long been understood. As far back as 1984, Dr Robert Ulrich, a Professor of Architecture at the Centre for Healthcare Building Research at Chalmers University of Technology in Sweden, wrote an influential paper which, using clinical data, revealed that patients with window views of nature had shorter post-operative hospital stays. Meanwhile a 1995 study by the Center for Health Design at the University of California found that 95% of people who walk through hospital gardens report a therapeutic benefit. It has been important for us to develop close working relationships with knowledgeable health-sector experts and our design response for Rathview has taken full advantage of our learning. Every opportunity has been taken to maximise the location and spaces within to create environments for healing. 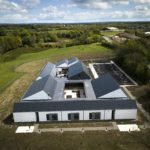 Deliberately one-storey throughout, our shallow-plan design places all habitable rooms on external walls, facing either directly out to the surrounding countryside or onto an internal courtyard, maximising natural light and views of a calm external environment. The Rathview Mews supported living unit focuses on rebuilding residents’ confidence and independence by providing a recognizable domestic environment. The design also enhances client and visitor experiences by creating views ‘to’, ‘from’ and ‘between’ the internal landscaped courtyards and external surroundings. The cedar wood cladding of the internal courtyards offers a warm, welcoming feel with glazed infills to encourage as much natural light as possible to flow into the interiors. Of course, the most crucial part of the dialogue to be had when designing for mental healthcare takes in the key discussion of resource and efficiency. A report earlier this year by the King’s Fund think tank found that NHS mental health trusts continue to receive far smaller budget increases than hospitals, five years after government pledged to create ‘parity of esteem’ between NHS mental and physical health services. Indeed, budgets of NHS mental health trusts in England rose by less than 2.5% in 2016-17 according to the report. The need for efficiency means an early dialogue with the Trust and the clinical staff to develop the brief and deliver within budget a high-quality architectural response that includes innovation in the model of care and healing environments, whilst also providing the technically demanding requirements of a healthcare building. Our experience at Rathview Mental Health Facility proves it can be done — a scheme that demonstrates efficiency in operation and maintenance, whilst carefully balancing clinical requirements and client dignity: the perfect environment for healing.